Tile has been a popular standard in the world of home remodeling for many years, and will remain so for years to come. Choices range from natural stone-granite, marble, slate, travertine, limestone; terra cotta, ceramic, porcelain, glass, mosaic, and the list goes on. There is one tile in particular that became widely used around the early 20thcentury and is turning heads once again – subway tile. Subway tile became popular in 1904 when New York’s first underground transit stations opened. 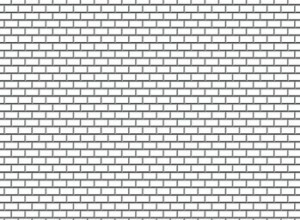 They were looking for a material to cover the walls and floors that would be easy to produce, cost effective, very durable and easy to clean… so the birth of “subway tile” began. Unlike the standard 4-1/4″ square wall tiles we know today, it can be recognized by its 3×6″ rectangle shape; a glossy white tile which is laid with a pencil thin grout line. However, for those who have spent time underground in the Big Apple you know that among the white tiles – mosaic art tiles also played an integral part; pops of color everywhere. Subway tile is making a huge comeback in today’s homes, as it can give a historic or contemporary look. It is very popular for bathroom walls and kitchen backsplashes, and sometimes is even used for flooring which gives a nice visual appeal, but can be dangerous as the the traditional glossy finish gets very slick when wet. Luckily, today’s subway tiles have changed a good bit, and now come in a variety of sizes, materials, colors and glazes; a combination of the classic white and mosaic art if you will. When installed, the tiles can be laid vertical, horizontal, diagonal, staggered, and in any array of patterns. The price range for subway tile comes in on the low to medium end of the scale for tile as well, making this a great choice for your wall covering update. If installed correctly, tile can last you a lifetime. Some added benefits of using tile in your kitchen, bath or other room remodels are that it’s low maintenance, easy to clean and hypoallergenic, as it does not harbor bacteria, dust mites and other allergens.